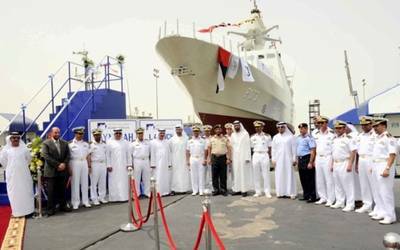 The United Arab Emirates Navy has taken delivery of the third Corvette (named 'Al Dhafra') in a series of six ordered from Abu Dhabi Shipbuilding Company, reports CanIndia. 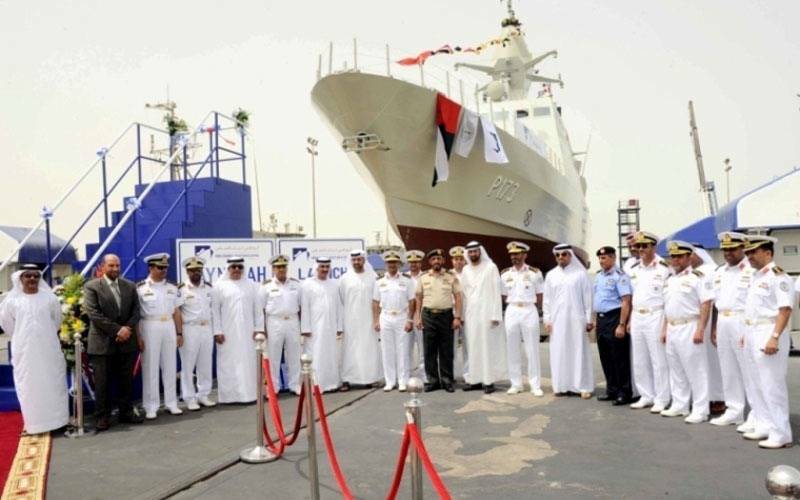 These warships, part of the largest construction programme in the Middle East, have multi-mission capabilities, including coastal patrol and surveillance, mine detection and avoidance, helicopter operations, as well as anti-air and anti-surface capabilities. The key features of the warships include a stealth-like superstructure, a helicopter landing deck and a hangar. They will also be fitted with anti-ship missiles, air-defence missiles, 3D surveillance, navigation and fire control radars and a multi-vendor electronic warfare suite.